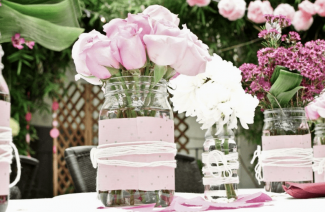 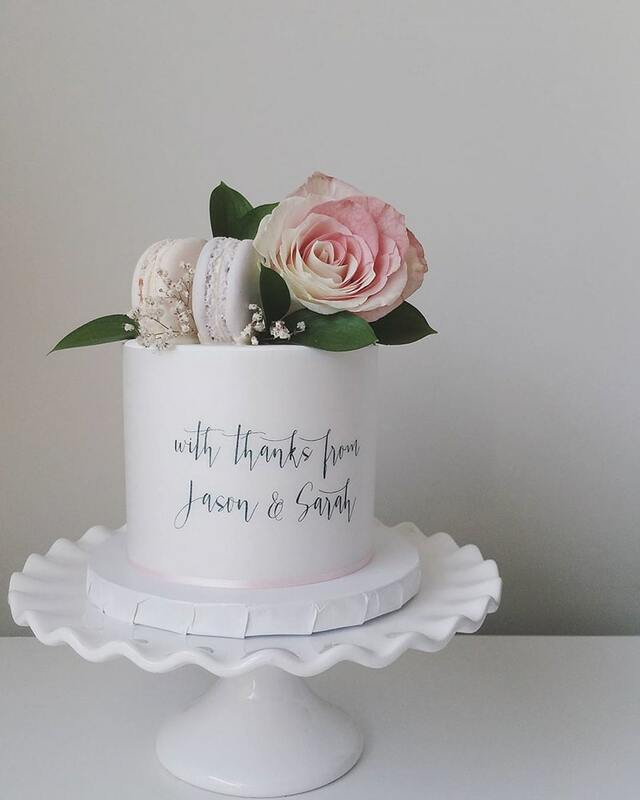 Something unique for your special day! 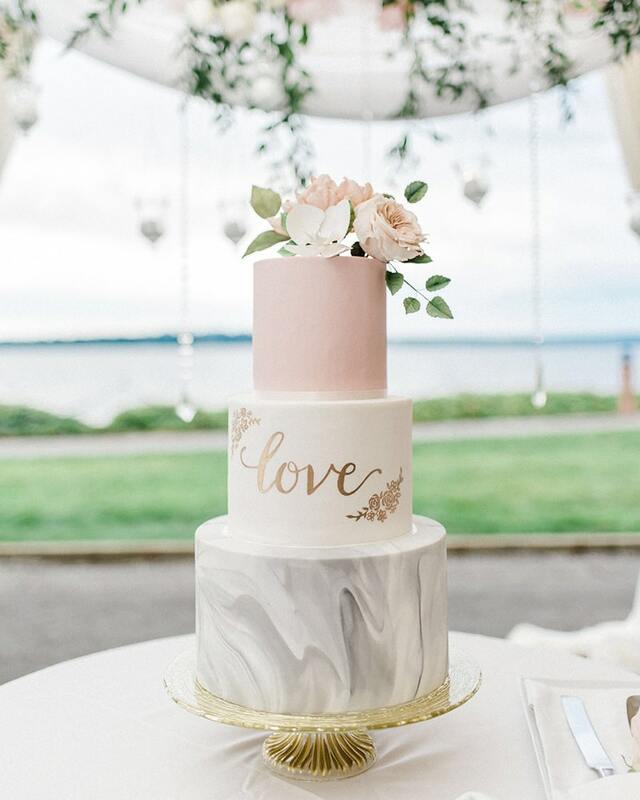 The wedding cakes with all their delightful trends and frosting are always a major attention grabber at any wedding. 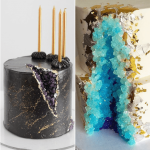 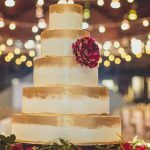 There are naked cakes, non-cake wedding cakes, gelatin cakes, floral cakes, spread out cakes, and so on. 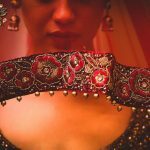 In this article, however, we have a surprise for readers and book lovers. 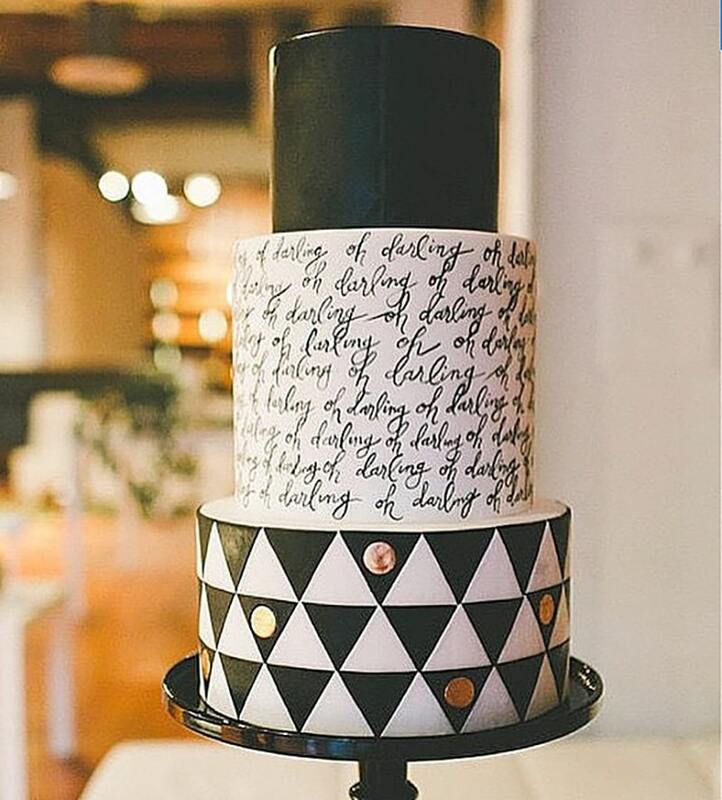 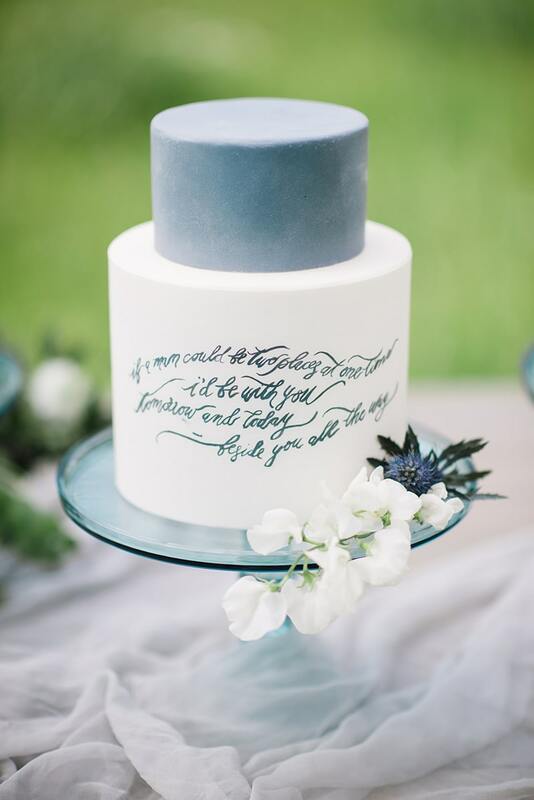 You can now get calligraphy cakes, bearing your favorite author’s quotes. 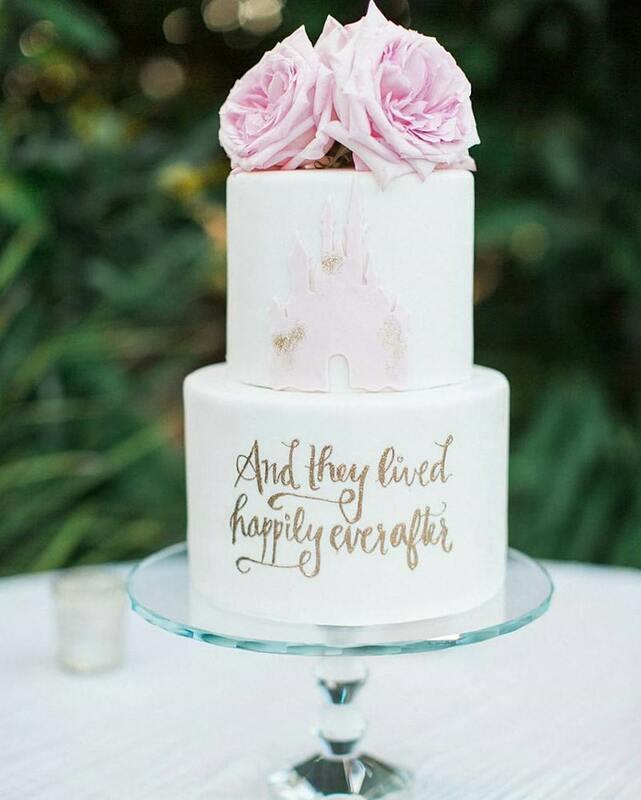 These cakes might just also be what you need to include your love for literature into your wedding. 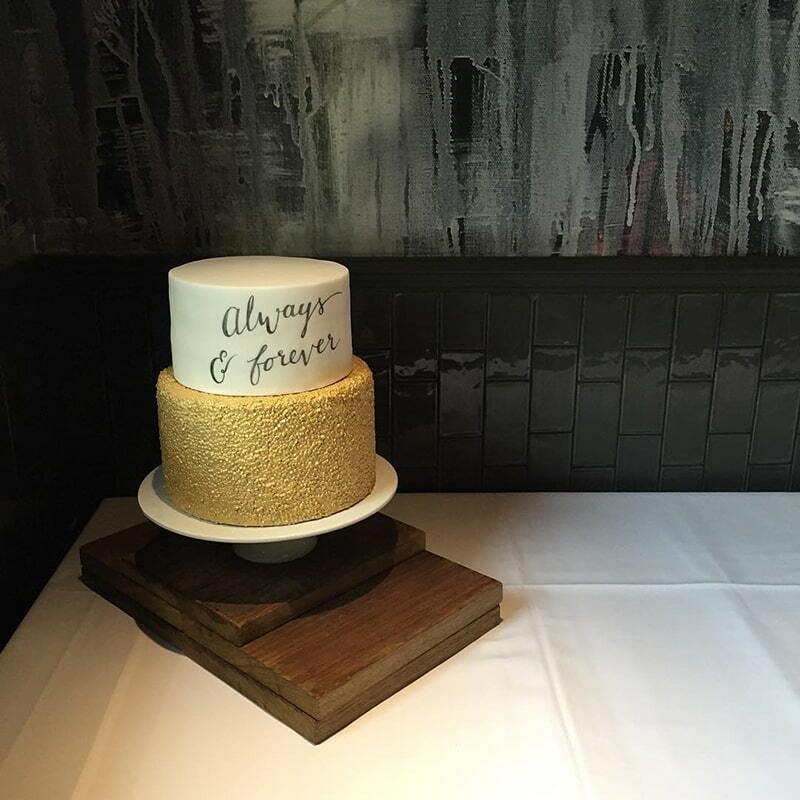 It can also compliment the theme of the wedding if you are having a book or movie themed reception. 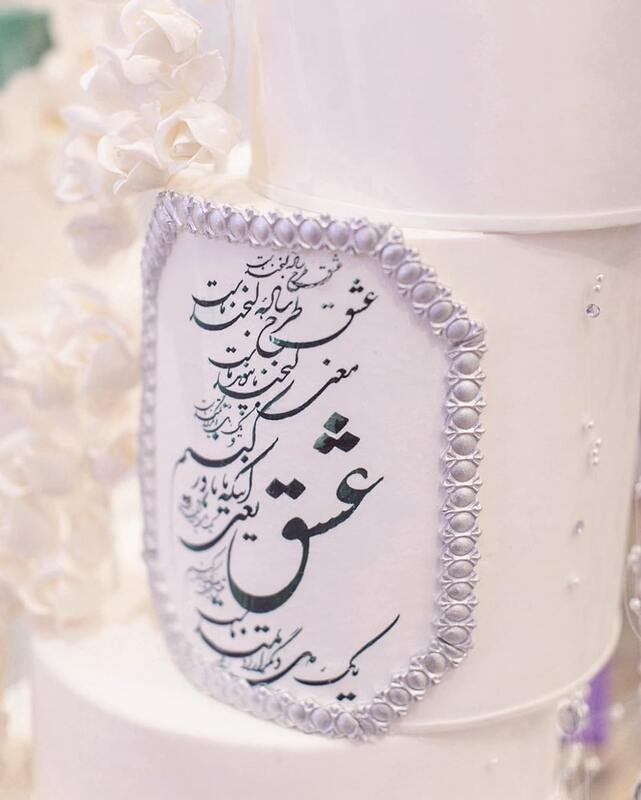 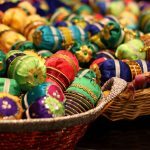 May it be a Harry Potter theme, Jane Austen theme, or any Urdu or Persian literature you are fond of, you can have a beloved quote of the book to decorate the cake. 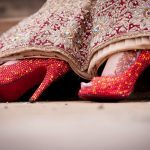 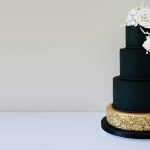 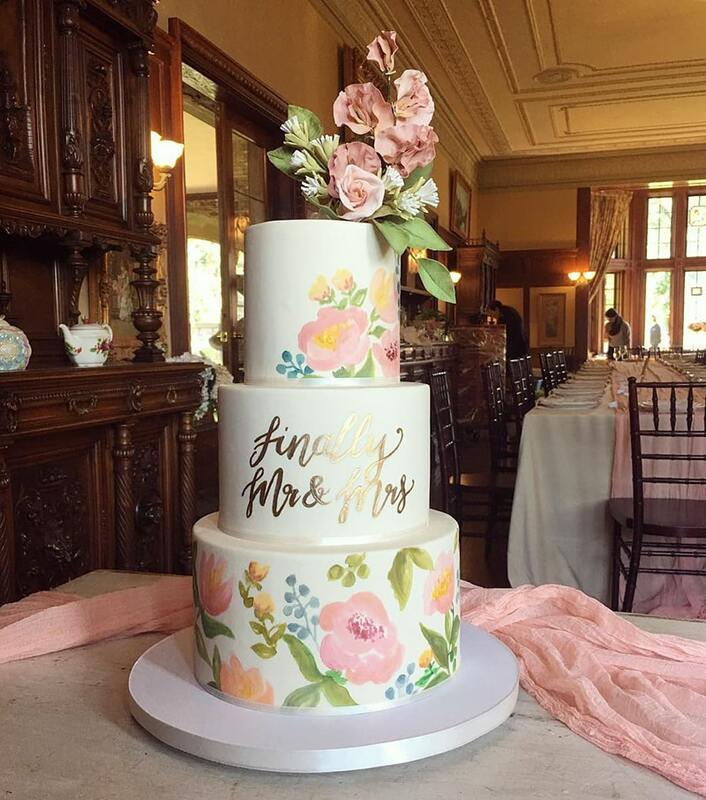 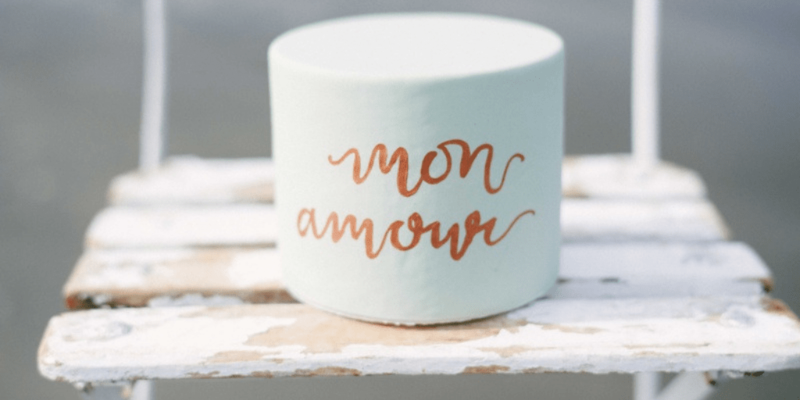 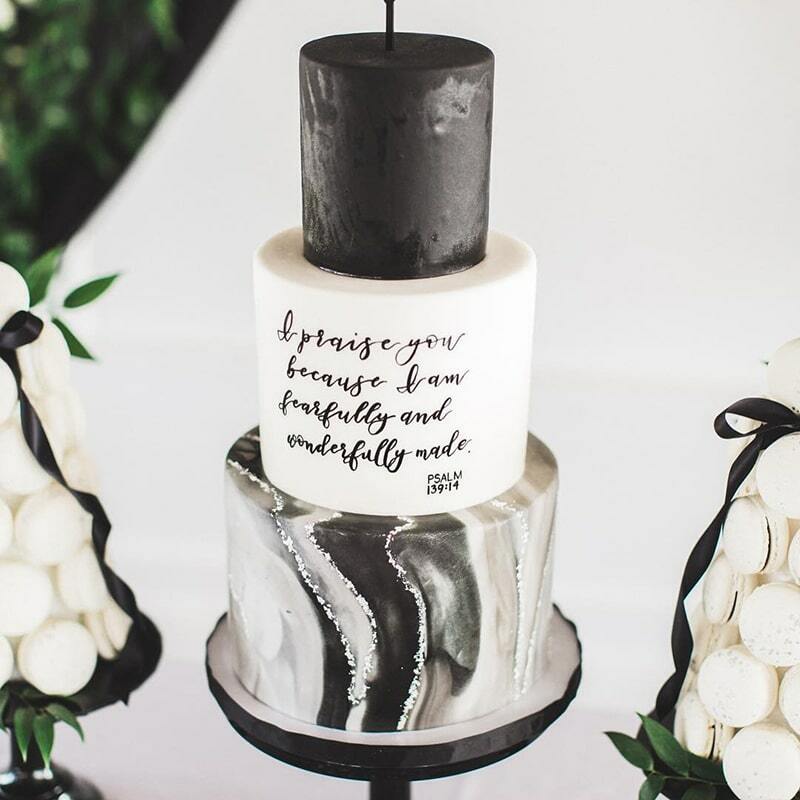 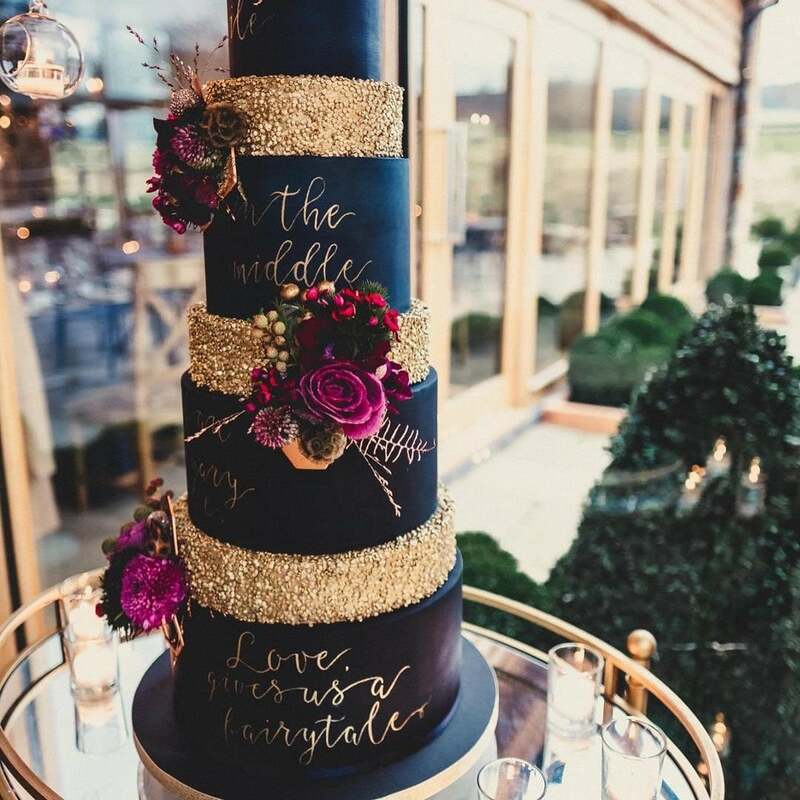 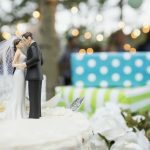 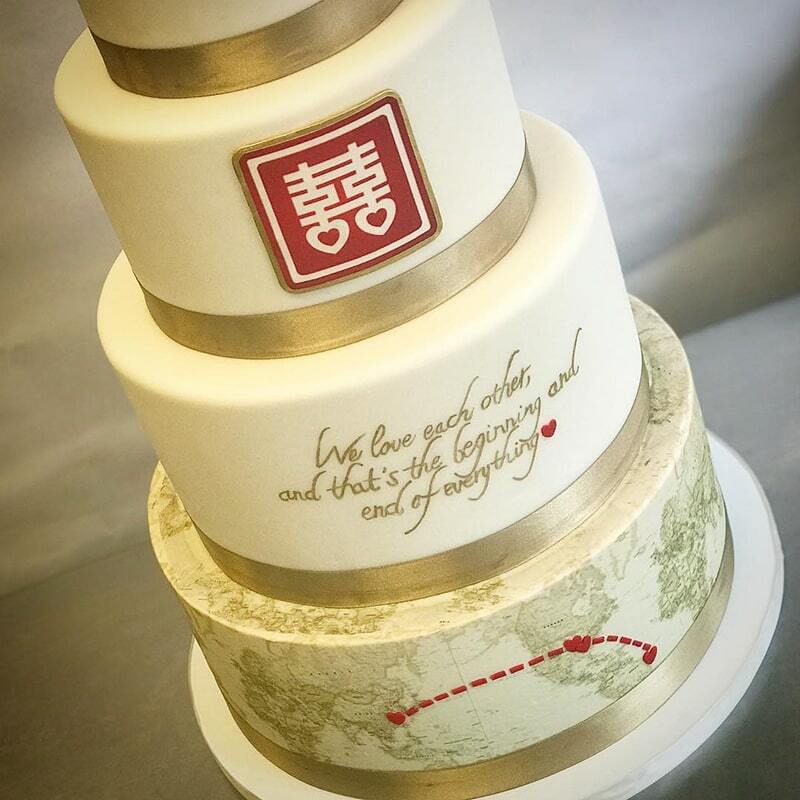 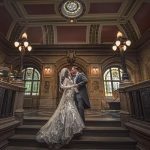 These following pictures will show you how some of the cakes are adorned with poetic, and beautiful words that describe the couples’ feelings towards each other and their journey ahead. 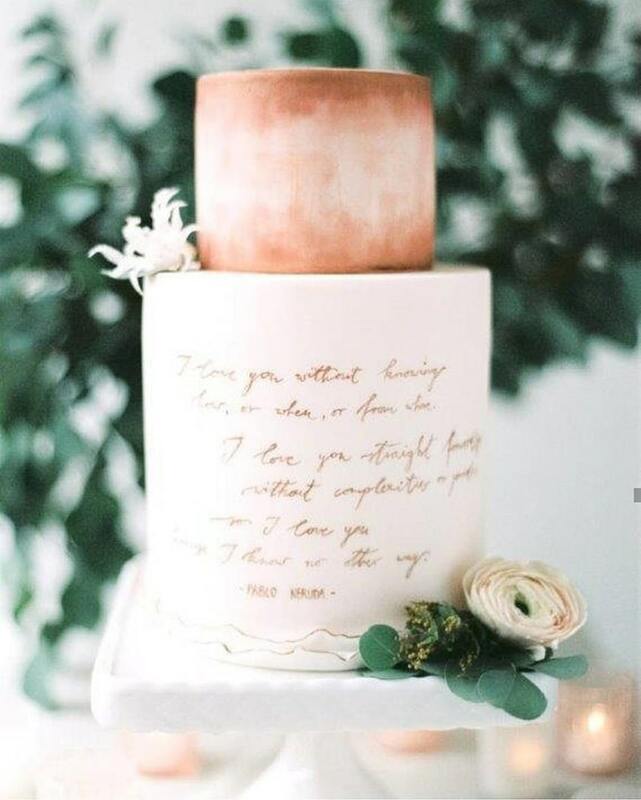 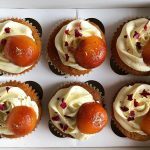 Didn’t you love the pretty and simple cakes, looking beautiful with the elegantly crafted words and phrases, to delight you and express your love for everything literature. 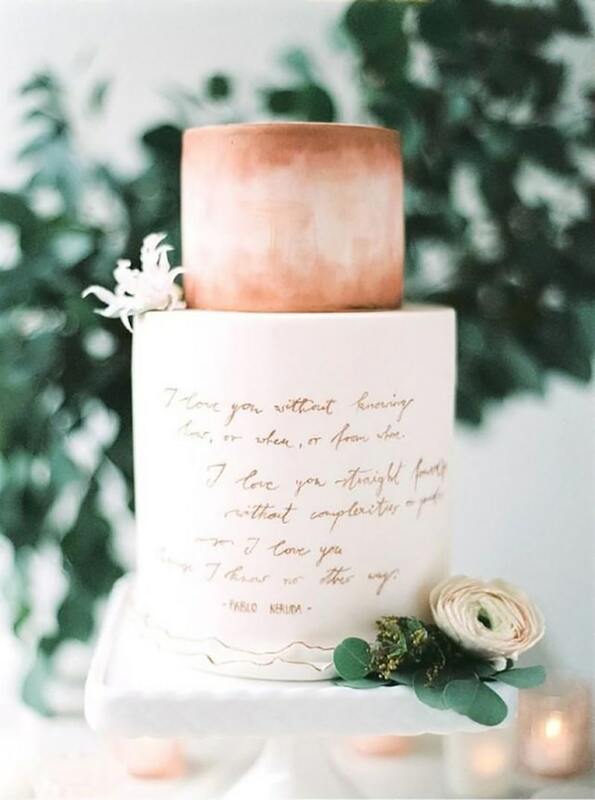 If you are looking for some inspiration, here are some famous literary love quotes for your wedding cake. 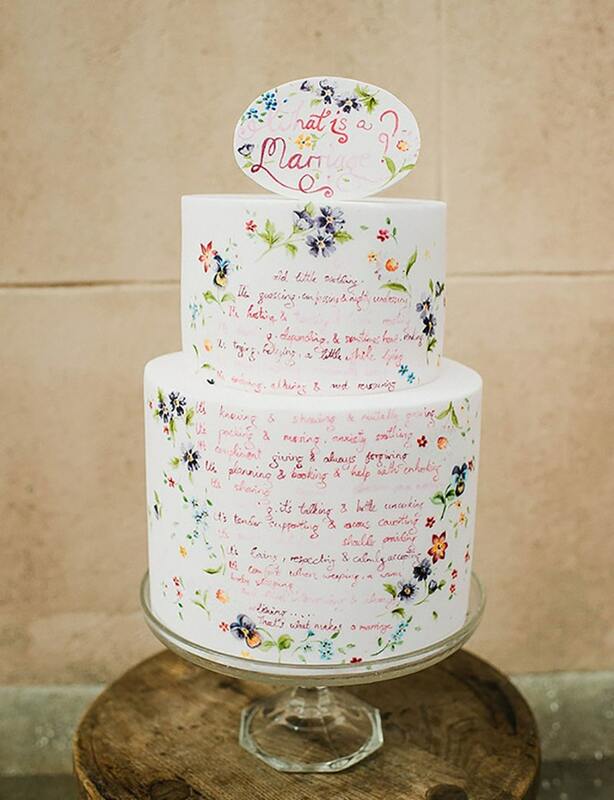 You can also simply have your name and wedding date written on the cake if you wish for something simple. 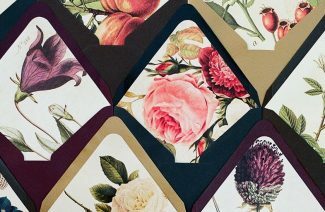 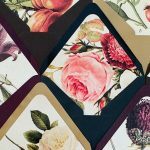 Next Post Wedding Invitation Envelope Liners Are Too Pretty for Words!